Tired of uninvited visitors sneaking into your lab? 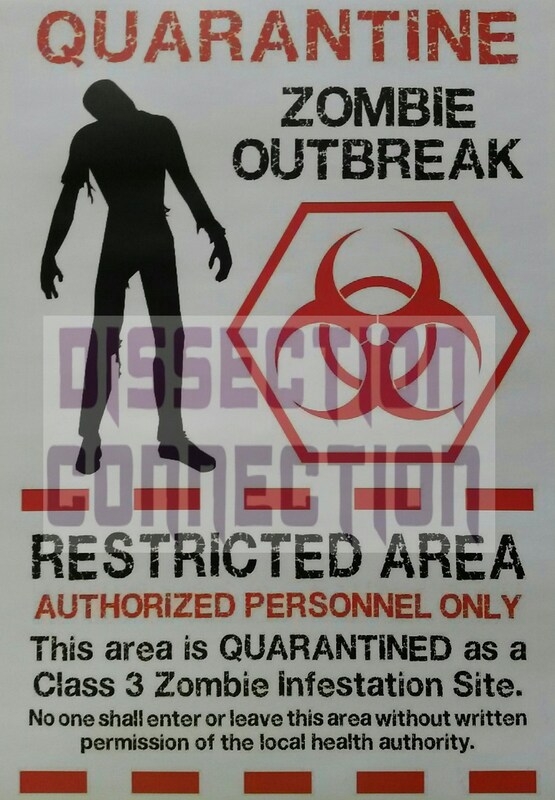 Post this Zombie Outbreak Quarantine poster to warn them off. The object next to your left hand is your weapon in the zombie apocalypse. What is it?